iPhone X with Apple Watch Mockup for showcasing your apps and ui design on apple charging dock in a photo realistic environment. Artwork can be added to the iPhone X Screen or Apple Watch 3 via the included Smart Object. You can also change the background color easily according to your design style. Nice mockup created by PSD Graphics. 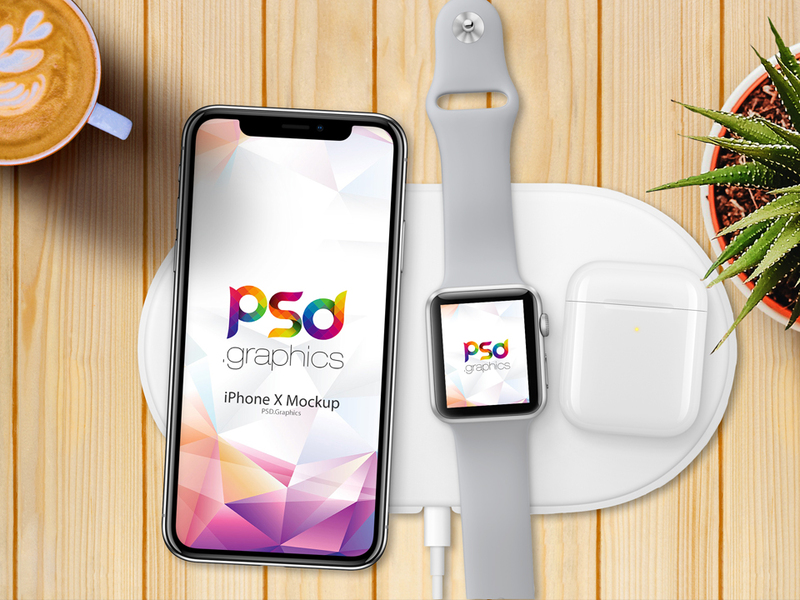 This iPhone X with Apple Watch Mockup is available for Free Download.